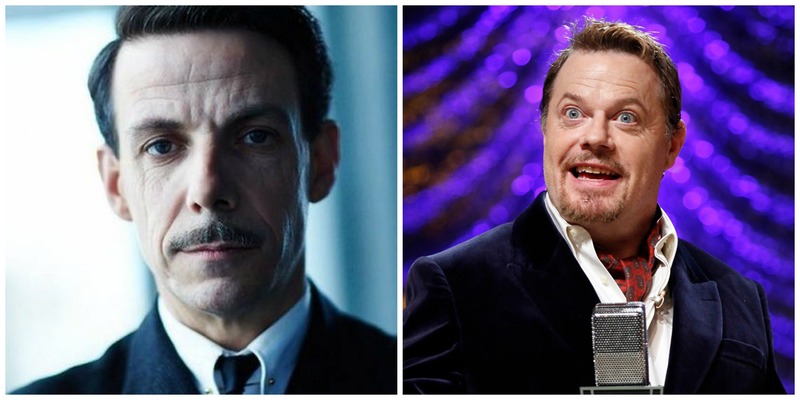 Eddie Izzard and Noah Taylor Join ‘Powers’ From PSN!!! Jumping into the SVOD game is Sony Playstation Network. 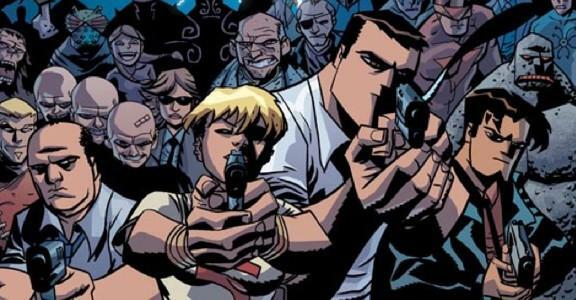 This bit of original programming is bringing the graphic novel, ‘Powers‘ to the small screen. In a brilliant turn of casting Eddie Izzard and Noah Taylor have signed on to the series. In a genre combination of superhero fantasy, crime noir and the police procedural, the series follows the lives of two homicide detectives, Christian Walker and Deena Pilgrim and is assigned to investigate cases involving people with superhuman abilities, who are referred to as Powers. The comic began in 2000 and it’s still currently being produced. Brian Michael Bendis writes and Michael Avon Oeming is the artist. Izzard and Taylor are joining a pretty talented list of actors already cast. Titus Welliver, Jason Patric, Bailee Madison, Alonna Tal and Vinnie Jones. Welliver is the perfect antihero in ‘Sons of Anarchy‘. The horrid Jimmy O’Phelan was a character that was so much fun to hate. Patric, should be planted in everyone’s brain as Michael from ‘The Lost Boys‘. So we’ve got a good storyline and excellent talent pulling it off. Izzard is going to be playing Wolfe, the primary Power who is incarcerated for decades in order to keep his abilities in check. While Taylor, most recently seen in ‘Edge of Tomorrow‘, is set to bring criminal mastermind Johnny Royalle, who runs the Here and Gone Club. Directing the first two episodes will be David Slade (‘The Twilight Saga: Eclipse‘) and written by Charlie Huston. ‘Powers‘ is PlayStation Networks’ first jaunt into the original programming and are attempting to go toe to toe with Netflix and Amazon. Plans for the show have been in effect since 2011 and is finally getting into production. Look for the finished product this December. This entry was posted on Friday, August 15th, 2014 at 8:56 pm	and is filed under Comics, News, Television. You can follow any responses to this entry through the RSS 2.0 feed. You can skip to the end and leave a response. Pinging is currently not allowed. « Image Entertainment To Release ‘The Houses October Built’!! !